Seasoned musician Jackson Maine (Bradley Cooper) stumbles upon a remarkable talent named Ally (Lady Gaga) one night as he searches for a drink. That moment starts a new journey for both, with Ally discovering success and newfound fame as Jack fights his own demons whilst the two try to maintain a relationship. A remake of a remake that's already been remade would usually draw groans from filmgoers and critics alike but it's not a studio blockbuster so nobody really cares. This time around, it's an early award season contender as well as an exciting debut from director Bradley Cooper, in which he also is starring in. After spending many years in development hell, 'A Star Is Born' is back on the big screen with a pairing you wouldn't have expected. Nonetheless, Cooper has delivered a solid modern retelling of this story, despite not maximising its full potential. Focussing on the rise of a star, the demise of another and their relationship amongst it all, Cooper's directorial debut depicts an interesting dysfunctional celebrity couple. 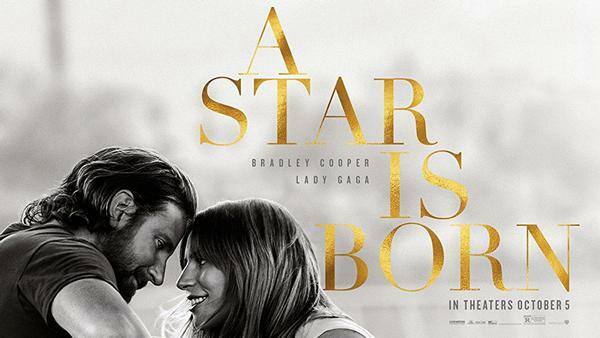 Backed by a pair of strong performances from both Gaga and Cooper, the story showcases those short-lived celebrity romances very well, with brief moments of genuine care and a lot of disputes between the two. Within this portion, the relationship is never really shown to be that great, with Cooper's characters struggles leading to most of the troubles the two face with most interactions ending up negative. This does create an interesting dynamic and does provide a decent insight into a troubled relationship between two in the same business but going in completely different directions. However, with this aspect being so heavily featured in the film, it takes an effect on the emotional moments that the film so heavily relies on. With the relationship between the two never appearing to be that great, the emotional moments don't quite hit the mark they could have had the film shown a bit more of the good times between the two. There are a few moments but it's mainly career based, there isn't much personality or character in their relationship meaning that would have made the sadder moments that more effective. That's not to say that there aren't moments in the film that are well done, it is just that these set pieces never get more than just fairly sad when they could be devastating and much more memorable. 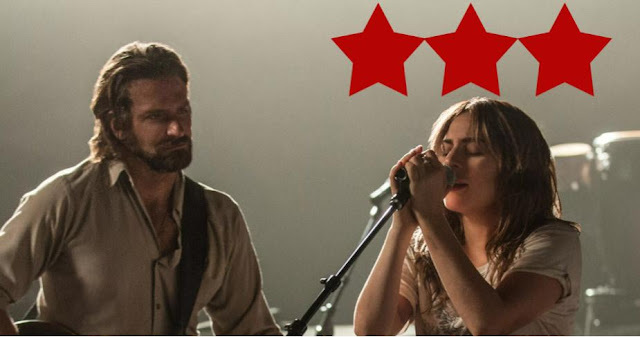 With more character, depth and development to this relationship, 'A Star Is Born' would undisputedly be one of the years best and most emotional in recent times. However, it squanders its potential and doesn't get much further than being a well made, musical drama. With a talent like Lady Gaga being in a musical film, the expectation is for there to be some quality musical numbers in which the film delivers. 'Shallow' is the clear standout - put your house on it winning Best Original Song - and although the rest of the tracks don't quite reach the same levels, there is a high standard throughout. Cooper impresses alongside but Gaga showcases her incredible capabilities tremendously which does help elevate her performance along the way. Perhaps not enough for award contention, but this was certainly an impressive showing from a unique talent. Despite some instances of the classic Southern mumble and some obvious signposting, Cooper manages to balance directing and acting fairly well in his first outing. 'A Star is Born' looks to be a crowd pleaser that has delighted moviegoers, pleasing myself included. It is certainly a well made, enjoyable film but is also one that could've been a lot more impactful and reached that next level. With strong performances and good music, its emotional hold on the audience really lets this one down in what is by far the films biggest downfall. Nonetheless, there is plenty of enjoyment to be had with this award season contender.